1/23/18 is the number 8. Today is a day you have to decide to let go. Let go of the old way that your ego defined how you were going to navigate the present problem or situation. There is a door, but you must walk through. Do not turn your back on the offering of the divine as it attempts to step you out of the old self and into the new wholeness that you have been working so diligently towards. Yes, there is a process of grief as you look at the possibility that you might have failed in some way. But you did not. The universe puts people, situations, and circumstances in our path to help us become more full not less than. But you have to choose to step through that door. You cannot be dragged through critical doorways. You have an element of free will. But ask yourself. Do you want to be right? Or do you want to achieve your goal? No man can do it completely alone. We are all here to help each other. Some of us have a karmic debt that needs to be paid and perhaps the help you need is right there in front of you and that person has an agreement to help you in this most important moment. Allow the gifts that you have given others to be received in the proper moment back to you. The Moon spends the day in direct, assertive, and bold Aries, stimulating your desire to initiate something new. It is time to clean that slate of yours. You must learn to consistently begin again. 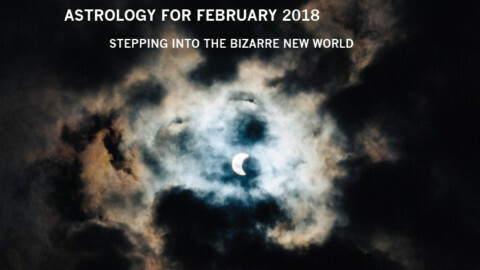 The Moon forms squares with Mercury and Pluto and both of those celestial bodies are moving towards an alignment that will be exact tomorrow. The intensity of your thoughts are going to clash with your desire to move towards your goal in a new way. And that can make you feel divided. A Sun-Saturn semi-sextile influence is having a similarly weighty effect. You might find it a little difficult to enjoy yourself without a vague feeling that you might be neglecting an older part of yourself and the old rules of responsibility that you have imposed upon your world. Take a risk. Try something different. Let others help you go towards that dream. Sometimes you cannot do it totally alone. a domain of the mind. the door is not there. I learned a long time ago that my fear would stop me from accomplishing anything. I recognized such fear inside that I would feel paralyzed to even attempt to move forward. I also recognized that everything I wanted was outside the bubble of my fear. So, I made a decision. That decision was to move in the direction of what frightened me the most; consciously, safely, and constructively. 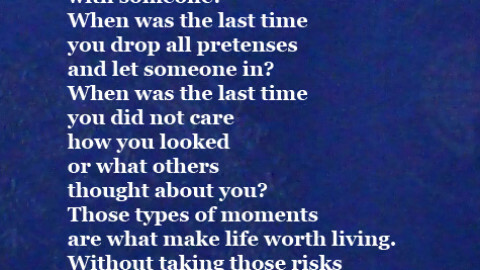 Those words were the keys to navigating fear in a way that did not damage me further. I felt that was the key. If I attempted things and somehow managed to hurt myself, then my fear would be forever locked in my brain as justified. And that would give me an excuse to not take risks. I believe that is why childhood and parents are so critical to the development of a person’s capacity to handle new things in a confident way with minimal stress. I find the things my parents introduced me to when I was a child, I have a natural acceptance and understanding, therefore really no fear and minimal stress. But it was those things that I did not get to have as an experience that create that sharp intake of breath and make my heart pound in my chest and the tightness in my body. No parent can give you every experience. That is impossible. So eventually you bump into an unknown place where you stop and have to figure out what to do. I learned to head straight for the things that frightened me. Again, consciously, safely, and constructively. When you step into the unknown with those three attributes clearly in your mind and you stay fully present in the moment you are somehow protected. The guides and angels can access your energy to give you those hints and cautions if you are paying attention and listening. Don’t let fear define your life. Don’t let the excuse that you don’t know how to do something stop you from learning and expanding into new territories. Don’t let the lack of knowledge and experience make you hesitate or allow you to let your mind judge that unknown thing as bad or dangerous. This world was designed to be a multidimensional experience in feeling. So, let yourself have experiences. Let yourself learn. Let yourself try and fail. Let yourself overcome and succeed. What you will learn is that this world is a playground for those who are willing to step beyond their mental patterns. You are a limitless being having an experience of limitation. That is all. Enjoy pushing against what you think you know. It is really fun. 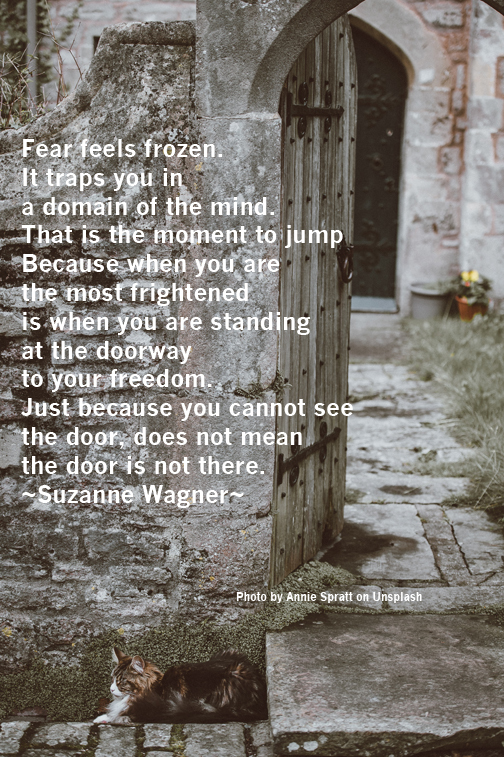 Video - Intuitive Patterns for the Month of February 2018Suzanne Wagner Quote - The time to jump is when you feel frozen in fear.